Streaming music service Pulselocker is now available inside Virtual DJ. 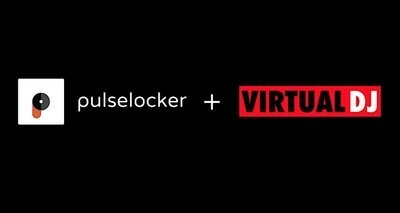 DJ music streaming service Pulselocker is now available inside Virtual DJ 8, the companies have announced. That means that anybody with a Pulselocker subscription can access their music and playlists from the service, including full offline access, from within Virtual DJ 8. Virtual DJ is one of the most-used DJ platforms in the world, particularly popular with mobile, karaoke and party DJs, and the integration with Pulselocker means that the service is now available in three of the "big four" DJ software platforms, the others being Serato DJ and Rekordbox DJ. That leaves Traktor as the only DJ platform that at this time offers no streaming option for its users. Pulselocker has also announced that users can now transfer playlists from other streaming services into Pulselocker using a service called Soundiiz. Soundiiz is new to us, but a quick look shows that it is in fact a bigger concept, promising the chance to maintain master playlists across any and all streaming media services, which in itself sounds interesting for DJs - we'll take a closer look at it soon! Are you a Virtual DJ user who's excited by this news? Or are you happy with the existing ContentUnlimited streaming service available within Virtual DJ? Let us know your thoughts in the comments.